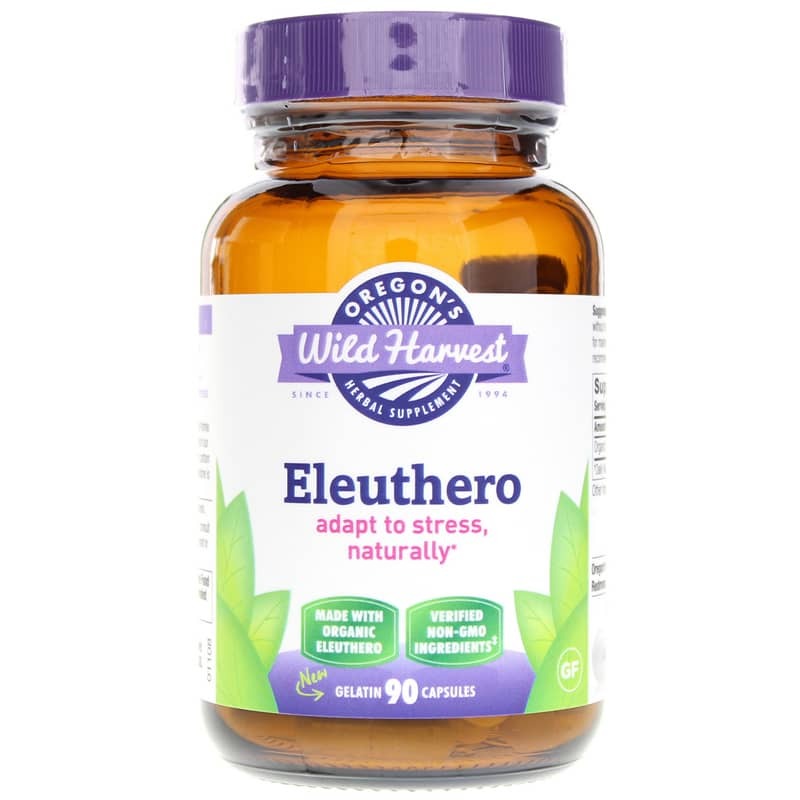 Eleuthero from Oregon’s Wild Harvest is an herbal supplement that seeks to support a healthy stress and frustration response with “adaptogens.” Eleuthero is native to northeastern Asia and is sometimes referred to as Siberian ginseng. However, Eleuthero (Eleutherococcus senticosus) belongs to the genus Aralia, and not Panax, which is the primary family of ginseng that includes 11 species. Despite not being related, Eleuthero is thought to share similar herbal properties. Adaptogens are compounds that may support a healthy stress and frustration response through the immune system. Stress and frustration cause the activation of the sympathetic nervous system in response to an environmental condition or challenge. This results in the fight-or-flight response and the release of hormones which may affect psychological or physical health. Eleuthero is thought to play some role in supporting a healthy sympathetic nervous system and promoting the normal release of hormones. Everyday tasks often come with challenges that can leave us looking for support. 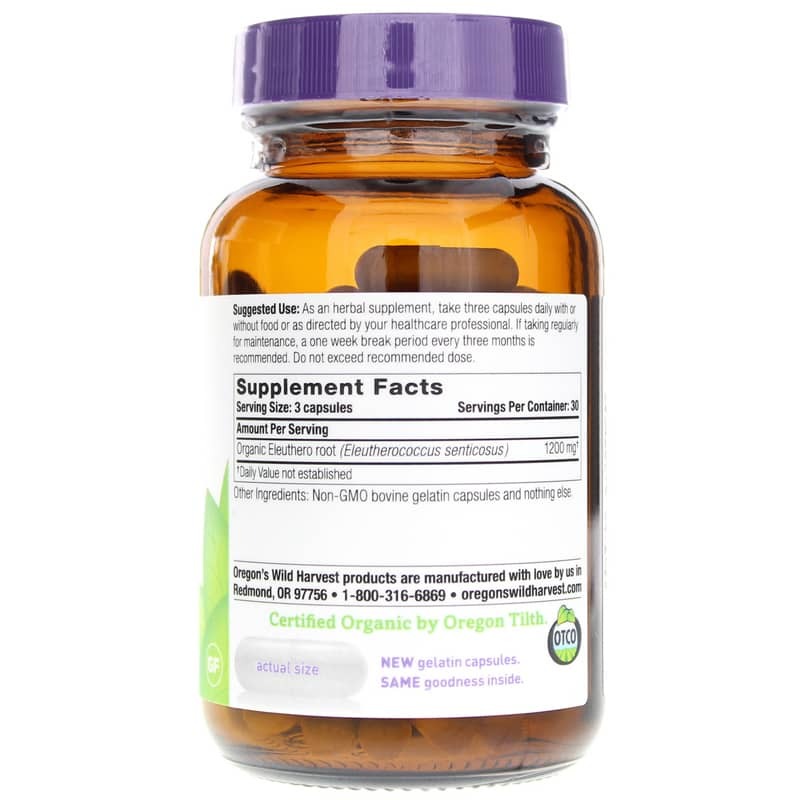 Eleuthero root with adaptogens seeks to support a healthy stress and frustration response. Experience it for yourself today! 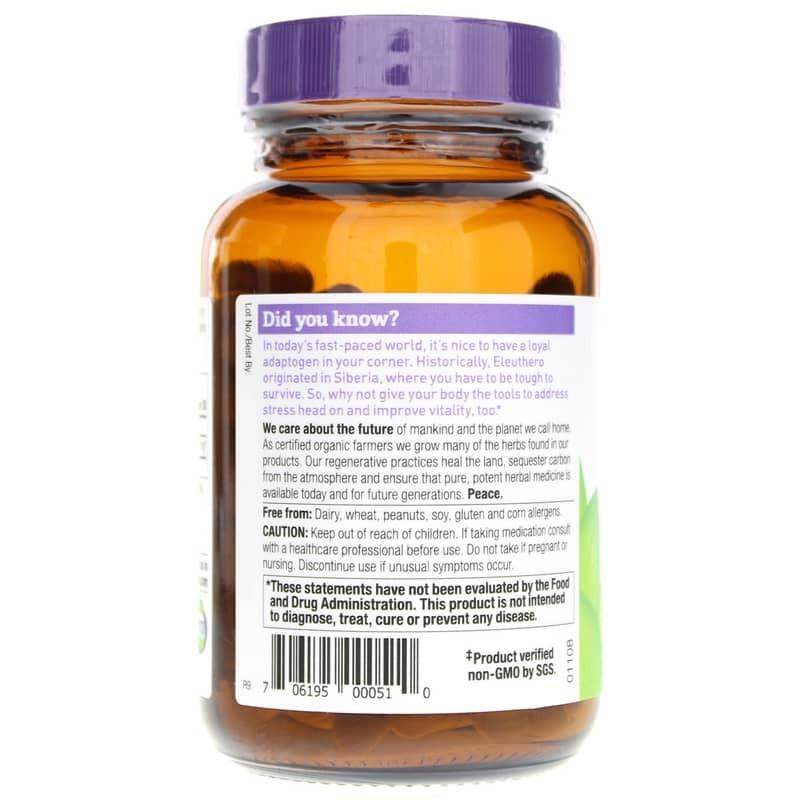 Adults: As an herbal supplement, take three capsules daily with or without food. If taking regularly for maintenance, a one week break period every three months is recommended. The best stress medicine on the market. Not heavy at all and it works!